Senior Iranian official threatens to raze Israeli cities if Israel “carries out even the smallest mistake” against Iran. Senior Iranian official Hossein Amir-Abdollahian, a special assistant to the speaker of the Iranian parliament and a former Iranian deputy foreign minister, recently threatened that Iran would raze Tel Aviv and Haifa to the ground if Israel “carries out even the smallest mistake” against the Islamic Republic. Abdollahian's remarks aired on Russia Today TV on October 18 and were translated by the Middle East Media Research Institute (MEMRI). He accused Prime Minister Binyamin Netanyahu of employing childish and bombastic diplomatic tactics at the UN General Assembly and on TV, and said that Netanyahu and Israel have reached the end of the road. Abdollahian further said that Arab countries, including Saudi Arabia, will never unite, and that Iran, Iraq, and Turkey are the only reason the Arab nations can maintain their security. He called on the Arab countries to stop playing US President Donald Trump "the lunatic" and Netanyahu's games, and invited them to partner with "their real friends, like Iran." 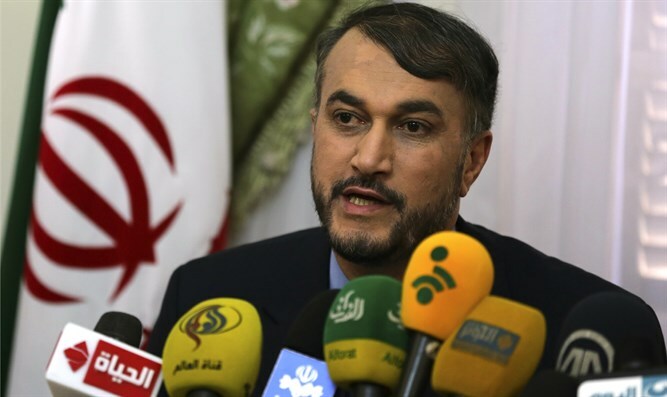 Iranian leaders consistently threaten Israel and call for it to be wiped off the map. Earlier this year, Abdollahian organized a festival, called the “International Hourglass Festival”, celebrating what he called the “imminent collapse” of the “Zionist regime of Israel”. Earlier that month he called Israel “a malignant cancerous tumor in the West Asian region that has to be removed and eradicated”. Khamenei also attacked Prime Minister Binyamin Netanyahu recently and branded him a “child killer”. Even Iranian President Hassan Rouhani, who has been touted by some as a “moderate” leader, has threatened Israel. Rouhani has in the past called Israel “illegitimate” and lamented that the crisis in Syria has made it difficult for Iran to focus on harming Israel. More recently, he said that Israel “can never feel safe” because it is “oppressing the Palestinian nation”.